The author of the article makes the case for establishing a museum of wooden architecture on the basis of one or several historical quarters in Irkutsk. CHERTILOV, Alexei. The Open-Air Museum Quarter in the Historical Center of Irkutsk: Preliminary Proposals to Be Discussed. 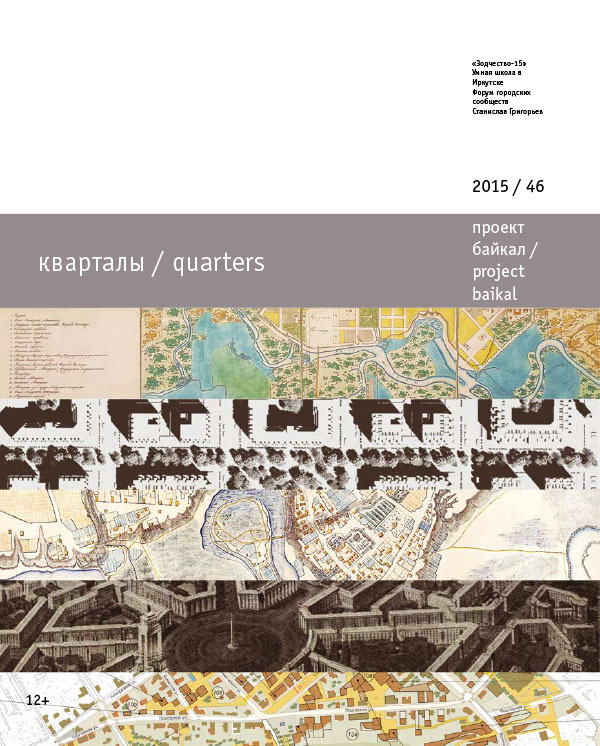 project baikal, Russian Federation, n. 46, p. 98-101, dec. 2015. ISSN 2309-3072. Available at: <http://projectbaikal.com/index.php/pb/article/view/960>. Date accessed: 23 apr. 2019. doi: https://doi.org/10.7480/projectbaikal.46.960.